JING AI is an associate professor of risk management, insurance, and finance in the Shidler College of Business at the University of Hawaii at Manoa. She received her PhD in risk management from the University of Texas at Austin and her Bachelor's Degree in finance and insurance from Tsinghua University in China. Her current research interests include longevity risk management, enterprise risk management, behavioral insurance, and insurance fraud detection and other public policy issues. Her research papers have appeared in premier academic journals such as Journal of Risk and Insurance and North American Actuarial Journal, among other scholarly publications, and are presented at various national and international conferences in risk management/insurance, finance, and management sciences. She recently served on the Board of Governors of the Asia-Pacific Risk and Insurance Association (APRIA). 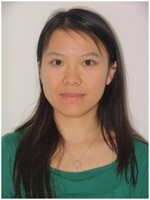 Ping An, PhD, now is working in People's Insurance Company of China Property& Casualty Company. She received her doctorate degree from Central University of Finance and Economics in China (2011), majoring in Actuarial Science. She has been to University of Waterloo as a visiting student for one-year study in 2009. Her research interests include longevity risk, risk management and data analysis. 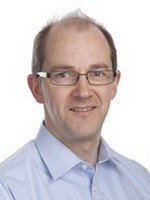 ANDREW CAIRNS is Professor of Financial Mathematics at Heriot-Watt University, Edinburgh. He is well known both in the UK and internationally for his research in financial risk management for pension plans and life insurers. Within this field he has developed a new model for bond-price dynamics for use in the measurement and management of long-term interest-rate risks in pensions and life insurance. More recently he has been working on the modelling of longevity risk: how this can be modelled, measured and priced, and how it can be transferred to the financial markets. Amongst his work in this field, he has developed a number of new and innovative stochastic mortality models. He is an active member of the UK and international actuarial profession in both research and education. He is editor in chief of ASTIN Bulletin - the Journal of the IAA, and he played a significant role in the development of the syllabus for the intrenational Chartered Enterprise Risk Actuary qualification. FANG-SHU CHAN got his BS degree in math, MS degree in actuarial science, and PHD degree in risk management and insurance in National Chengchi University. 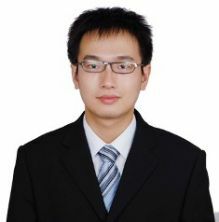 He currently serves as an assistant professor of department of financial engineering and actuarial mathematics at Soochow University. His research interests include financial management of insurance companies, mortality and morbidity rates modeling, and longevity risk hedging. 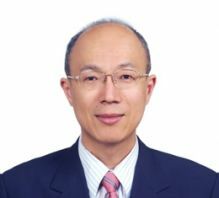 Wai-Sum Chan held teaching and research posts at the National University of Singapore, the University of Waterloo and the University of Hong Kong before his present appointment as Professor of Finance in the CUHK Business School. He has been a Fellow of the Society of Actuaries since 1995. 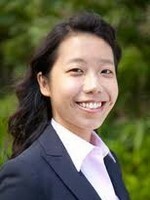 Wai-Sum qualified both as a Chartered Enterprise Risk Analyst (USA) and a Chartered Statistician (UK). Wai-Sum is an active actuarial researcher on longevity modelling. He has published extensively in a variety of actuarial journals, including Annals of Actuarial Science, Australian Actuarial Journal, British Actuarial Journal, North American Actuarial Journal and Scandinavian Actuarial Journal. He was granted the prestigious Edward A. Lew Research Award (second prize) in 2006 by the Society of Actuaries. Wai-Sum is the co-author of an actuarial textbook "Financial Mathematics for Actuaries" published by McGraw-Hill in 2013. 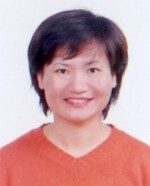 Fen-Ying Chen is an Associate Professor at Department of Finance, Shih Hsin University, Taiwan. In 2005, she got the PH.D from Department of Money and Banking in National Chengchi University in Taiwan, and majored in financial engineering. In three years, Dr. Chen studies in actuarial science. Her articles have been published in SSCI, SCI and TSSCI journals. 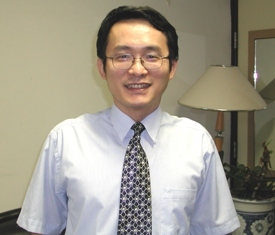 Dr. Hua Chen is an Assistant Professor of Risk, Insurance, and Healthcare Management and the Director of the M.S. Program in Actuarial Science in the Fox School of Business at Temple University. He holds a Bachelor's degree in Mathematics and a Master's degree in Economics. He received his Ph.D. degree in Risk Management and Insurance from Georgia State University. His research interests include insurance economics, risk modeling and securitization, and actuarial mathematics. Dr. Chen has publications in top tier journals in insurance and actuarial science, including the Journal of Risk and Insurance, Insurance: Mathematics and Economics, North American Actuarial Journal, and Asia-Pacific Journal of Risk and Insurance. He is an active member of the American Risk and Insurance Association, Asia-Pacific Risk and Insurance Association and Financial Management Association. 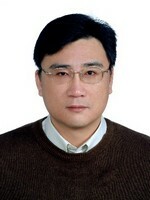 Qiang Cui, Master of Central University of Finance and Economics (CUFE). In 2011, obtained Engineering and Economics double degree at Guangxi University; enter Central University of Finance and Economics at 2012. The main research area is pensions and good at using OLG model (Overlapping generations model) research pension rate problem. Paper about the optimal pension contribution rate had been selected by the 17th Annual Conference of Asia-Pacific Risk and Insurance Association, and made a report at the conference. Has been selected as Excellent Member in the Students' Union and outstanding student leader. Has worked as an intern in the State Administration of Radio, Film Television and head office of Taikang life. 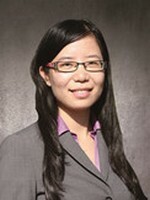 YINGLU DENG is an Assistant Professor of Finance at School of Economics and Management in Tsinghua University. She earned her bachelor's degree in life science and computer science at Peking University in 2004, and Master's degree in finance at Peking University in 2006. In 2010, she received her master degree in statistics at McCombs School of Business of University of Texas at Austin where she held a Ph D. in Quantitative Finance and Risk Management & Insurance after one year. Prof. Deng's research focuses on Asset Pricing, Financial Risk Management, Quantitative Finance, Insurance and financial innovation. Her research papers have been published on Journal of Risk and Insurance, Asia-Pacific Journal of Risk and Insurance, Journal of Insurance Studies (Chinese). 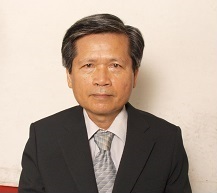 Prof. Deng is the associate editor of Asia-Pacific Journal of Risk and Insurance. She is also the member of American professional affiliations, which include: American Finance Association, Financial Management Association, American Risk and Insurance Association and Asia-Pacific Risk and Insurance Association. 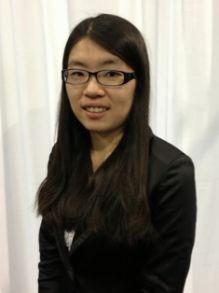 Huan Gao is in her final year as a doctoral student in the Department of Statistical and Actuarial Sciences at the University of Western Ontario. 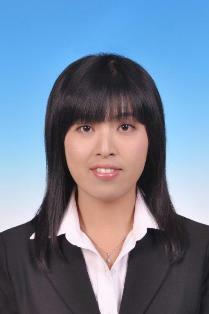 Recently, she is working on valuation models for option-embedded insurance policies as part of her PhD dissertation. She was previously an Actuary at Products & Actuarial Department in Anhua Agricultural Insurance Company, China. She received her M.A. degree in Quantitative Economics and B.S. degree in Computer Software from Jilin University. She is an associate member of the Chinese Association of Actuaries. JIANWEI GAO graduated from Beijing University of Aeronautics & Astronautics and he got his Ph.D. Economics in 2002, now he served as a professor at North China Electric Power University in Beijing, P.R. China. Professor GAO's research involved in Pension scheme, Actuarial Science, Portfolio Selection, etc. He has been in charge of eight scientific research projects including three numbers of National Natural Science Foundation of China and five provincial scientific research projects. By now Professor Gao has received three awards such as the New Century Excellent Talents of the Ministry of Education of China. Besides, he has published more than fifty research articles on pension plan and actuarial science in the science and technology journals at home and abroad. 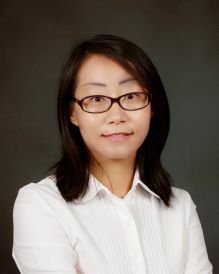 Shing-Her Juang is an Associate Professor in the Department of Financial Engineering & Actuarial Mathematics at Soochow University. Her research interests include morbidity estimation, actuarial model for multi-state health insurance and generalized linear model for insurance data. She received a PhD in Statistics from the Ohio State University, USA. 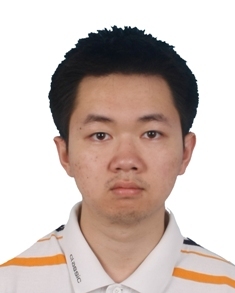 Diheng Huang is currently a Master student in Department of Statistics and Actuarial Science, University of Waterloo. She earned her B.Ec. at Renmin University of China. 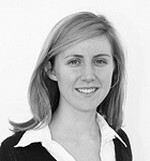 Her research interests include mortality modelling and forecasting and insurance risk management. Liaw is a consulting actuary and an expert in quantitative modeling. He received his PhD in Mathematics from the University of California at Berkeley and was subsequently on the faculty at Indiana Wesleyan University. Following his academic career, he held senior consulting roles with CCA strategies, JPMorgan, and Aon Hewitt. He has considerable experience advising sponsors of large, complex pension systems, having served as the pension actuary for one of the largest U.S. private pension plans for over a decade. Currently Liaw is a consultant and senior research associate with TTerry Consulting LLC. 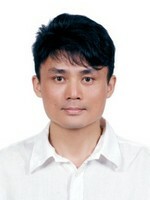 MING-HUA HSIEH is an associate professor of the Department of Management Information Systems at National Chengchi University, Taiwan. From 1997 to 1999, he was a software designer at Hewlett Packard company, California. He is a member of ARIA and INFORMS. His research interests include risk management, simulation methodology and financial engineering. HUANG HONG-CHIH is the professor and chairperson of the department of Risk Management and Insurance at the National Chengchi University in Taiwan. He received his Ph.D. in actuarial mathematics at Heriot-Watt University in U.K. and his master degree in actuarial science at University of Iowa in the U.S. His research interests cover asset liability management, asset allocation, pricing and risk management for insurance and pension, mortality modeling, and longevity risk. His research appears in Insurance Mathematics and Economics, Journal of Risk and Insurance and The Geneva Papers on Risk and Insurance. 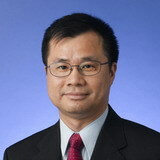 In addition to academic experience, Dr. Huang shares his knowledge with many actuarial practices, the reviewer of life insurance products for Taiwan Insurance Bureau of Financial Supervisory Commission; the Risk Management Committee member of Taiwan Post Office Company; the Consultant Member of Management Bord for Taiwan Public Service Pension Fund. Andrew Hunt is studying for a PhD in longevity modelling, projection and risk management at Cass Business School in London. He qualified as a Fellow of the Institute of Actuaries in 2009 and is now researching into the development of stochastic mortality models and their application to longevity risk management and securitisation. Prior to this, Andrew has worked for five years as a pension consultant, helping to advise a number of companies on their funding and risk strategy regarding legacy defined benefit obligations and including assisting on the modelling of a large longevity swap transaction. He also has a Masters in Mathematics from the University of Cambridge, specialising in theoretical physics. 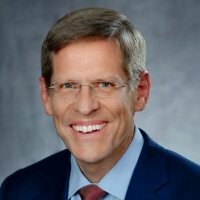 ALLEN JACOBSON is an Actuarial Director at USAA in San Antonio, Texas. He serves on USAA's capital modeling team. On that team he is responsible for modeling the impact on capital of various economic and insurance events. 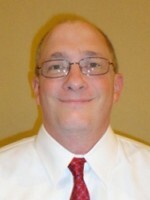 Allen has also served on USAA Life Insurance Company's Asset & Liability Management team. Prior to joining USAA, Allen worked as a pension consultant with two major consulting firms. In those roles he helped clients design, fund and account for their defined benefit pension plans. His clients included medium and large corporate plan sponsors. Allen is a Fellow of the Society of Actuaries and a CFA Charterholder. He attended the University of Texas at Austin where he earned Bachelor of Business Administration and Master of Business Administration degrees. 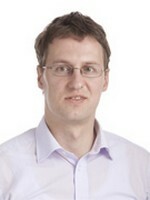 TORSTEN KLEINOW is a Senior Lecturer in Actuarial Science at Heriot-Watt University. He holds a PhD in Statistics from Humboldt University Berlin. His research interests are mortality modelling and pensions. 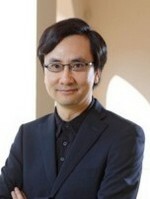 ATSUYUKI KOGURE is a Professor of Statistics and Finance in the Faculty of Policy Management at Keio University, Japan. He holds a Ph.D. in statistics from Yale University. His previous academic experiences include visiting researchers at the Institute for Monetary and Economic Studies in Bank of Japan and at Nanyang Business School in Singapore. His main interest lies in the areas of risk modeling in insurance and finance. His recent research has focused on Bayesian methods for modeling multivariate risks and their applications to mortality-linked derivative pricing. Hong is currently working as a PhD candidate in the Econometriscs & Operations Research department at Tilburg University, the Netherlands. His research is sponsored by NWO (De Nederlandse Organisatie voor Wetenschappelijk Onderzoek ) under the project "Managing Lonevity Risk". Hong's research focuses on mortality modeling and the hedging of pension longevity risk. It includes forecasting future mortality development and studying the effect of systematic longevity risk on pension liabilities and the possibility of hedging such systematic longevity risk. Johnny Li is the holder of the Fairfax Chair in Risk Management and an Associate Professor at the University of Waterloo. He holds a Ph.D. degree in Actuarial Science from the University of Waterloo and is a Fellow of the Society of Actuaries (FSA). He also received B.Sc. and M.Phil. degrees from the University of Hong Kong. He is an associate editor of the North American Actuarial Journal and a member of the board of directors of the Asia-Pacific Risk and Insurance Association. Professor Li's research interests encompass the fields of stochastic mortality modeling, longevity risk securitization, reverse mortgages, and actuarial applications in law courts. He publishes frequently in journals such as the Journal of Risk and Insurance, Insurance: Mathematics and Economics, the Geneva Paper of Insurance: Issues and Practice, and the North American Actuarial Journal. Professor Li has made significant research contribution to the area of longevity risk. Part of his paper "Developing Mortality Improvement Formulae: The Canadian Insured Lives Case Study" is used in the Canadian Institute of Actuaries (CIA) Guidance Material #210065. His research in this area has brought him several awards, including the Harold D. Skipper Best Paper Award from the Asia-Pacific Risk and Insurance Association, the Edward A. Lew Award (2nd place) from the Society of Actuaries, and a Best Paper Award from the Actuarial Society of Hong Kong. He was a co-chair of the Eighth International Longevity Risk and Capital Markets Solutions Conference. Professor Li is also committed to teaching topics on longevity risk. He developed a new graduate course called "Managing Longevity Risk" at the University of Waterloo, and offered a short-course on longevity risk modeling for practitioners in Europe. 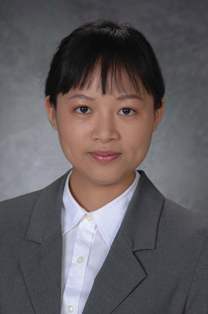 Yijia Lin is an Associate Professor of Finance at the University of Nebraska - Lincoln. She earned BA degree in insurance and MA degree in finance and insurance both at Beijing Technology and Business University. 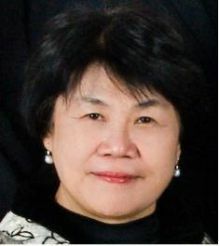 Dr. Lin earned her Ph.D. in Risk Management and Insurance at Georgia State University. She is also a Chartered Financial Analyst (CFA®) Charterholder. Dr. Lin's research interests are in insurance securitization, enterprise risk management and actuarial science. She has published papers in the Journal of Risk and Insurance, the North American Actuarial Journal, the Insurance: Mathematics and Economics, the Geneva Papers on Risk and Insurance, the Variance and others. She is also an Associate Editor of the North American Actuarial Journal. Dr. Lin won the Harold D. Skipper Best Paper Award for the best paper at the 2006 Annual Meeting of Asia-Pacific Risk and Insurance Association, the Ernst Meyer Prize for University Research Work by the Geneva Association in 2007, and the North American Actuarial Journal Annual Prize for the Best Paper Published in 2007 in 2009. Yang Lu is a PhD student in mathematics under the supervision of Prof. Christian Gouriéroux (CREST, France and University of Toronto). Besides that Yang also works in Scor's mortality/longevity R&D team, which he joined in 2011, first as an intern then as a part-time researcher. Before, Yang Lu was trained as a mathematician at the Ecole Normale Superieure of Paris, where he obtained his Bsc and Msc. Yang also holds a postgraduate degree in statistics from ENSAE ParisTech and the associate membership of the French Institute of Actuaries. RAIMOND MAURER holds the Chair of Investment, Portfolio Management and Pension Finance at the Finance Department of the Goethe University Frankfurt and is Metzler Visiting Professor at the Wharton School. His main research interests focus on asset management, life-time portfolio choice, real estate, and pension finance. He received his habilitation, dissertation, as well as diploma in business administration from Mannheim University and has various experiences in policy and industry consulting (e.g for the Worldbank, ECB, FED, Ministry of Social Affairs Baden W¨¹rttemberg). Dr. Maurer holds several professional positions like at the Union Real Estate Investment (Member of the Supervisory Board), the Society of Actuaries (academic chairman of AFIR group), the Association of Certified International Investment Analysts (academic director and member of the International Examination Committee), and the Pension Research Council at the Wharton School of the University of Pennsylvania (member of advisory board). He holds the degree of an honorary doctor from the University of St. Petersburg. 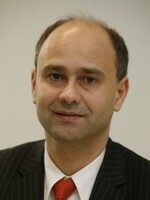 Dr. Maurer has published five books and more than forty refereed articles in various international journals, including Review of Finance, Financial Analysts Journal, Journal of Portfolio Management, Journal of Asset Management, Journal of Risk & Insurance, Journal of Banking & Finance, or the Journal of Economic Dynamics & Control. Xiuye Meng, a student from Central University of Finance and Economics. She is majored in actuary science and has obtained associate actuary qualification certificate in junior time. She has published 5 articles in the "China Insurance News", and her 3 articles also have been selected for the 3rd China International Conference on Insurance and Risk Management in Qingdao. Besides, she also participated in 2012 Global Conference on Evaluation On Public Hospital Reform In China , The Second International Agriculture Risk, Finance and Insurance Conference, 2013 CCISSR conference. In school learning, she keeps GPA ranking second and comprehensive measurement ranking first. During 3 years, she got the Merit students in Beijing, national scholarships, Hang Seng Bank Mainland scholarships, university class scholarship, academic research and scholarship, moral merit scholarships and many other awards. She also got Meritorious Winner in American 2013 Mathematical Contest in Modeling. Overall she is a focus on all-round development, self-planning ability of the outstanding modern university students. RAMONA MEYRICKE is an Actuary within Swiss Re's Life and Health business, and an Associate Investigator with the Centre of Excellence in Population Ageing Research at the University of New South Wales. Her research focuses on financial risk management for pension plans and life insurers, including managing solvency, capital and regulatory requirements, as well as methodologies for modelling longevity risk, morbidity and mortality. Other research interests include co-ordinating private and public insurance for longevity and aged care, systemic risk and the asset pricing implications of ageing. She is a Fellow of the Institute of Actuaries Australia and has completed a PhD in Financial Economics at the University of Cambridge. Prior to commencing her PhD, Ramona worked for PwC Australia for five years as a Pensions Actuary. 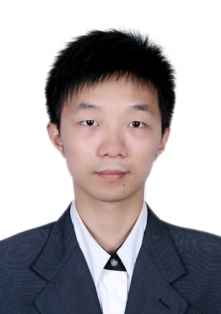 PENG QIN is a PhD student in China Center for Insurance and Risk Management at Tsinghua University. Peng's research interest includes reverse mortgage pricing, actuarial science and financial engineering. Is associate professor in China Institute for Actuarial Science of CUFE. Professor Pooi served as a teaching staff at the Institute of Mathematical Sciences, University of Malaya for about 33 years before joining Sunway University Business School. While he was at the University of Malaya, he helped to set up the programmes in MSc in Statistics by course work and BSc in Actuarial and Financial Mathematics . He has taught a wide range of courses in statistics and actuarial science offered in the above programmes. Professor Pooi 's research interests include generalized linear models, categorical data analysis, statistical process control, queueing theory , and applications of statistics in insurance and finance. His research to-date has focused on the modelling of interest rates and asset prices. Adam Wenqiang Shao is a PhD student in the School of Risk & Actuarial Studies and ARC Centre of Excellence in Population Ageing Research (CEPAR), at the University of New South Wales. 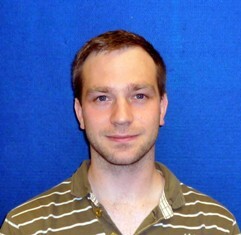 He currently works as a research assistant on two research projects to Professor Michael Sherris in CEPAR. He received his B.Ec. in Finance from Beijing International Studies University and M.Fin. in Actuarial Science from Central University of Finance and Economics. His PhD thesis is on financing health costs in retirement with equity release products and long-term care insurance. Since 1975, Tom has been a pension actuary and business leader. He is President-elect of the American Academy of Actuaries and vice-chair of the International Actuarial Association's Pensions and Employee Benefits Committee. Tom is President of TTerry Consulting LLC, a consulting and policy research organization. He formerly held roles as CEO of JPMorgan Compensation and Benefits Strategies, President of CCA Strategies, and Principal/Vice President of Towers Perrin. Julien Tomas holds a Ph.D in business economics from the University of Amsterdam (Netherlands). His thesis entitled "Quantifying biometric life insurance risks with non-parametric smoothing methods" provides powerful tools to regulate biometric laws, particularly in the context of best estimate under Solvency II. Applications presented show that advanced methods yield good results even for complex risk behavior. Julien Tomas also holds a master degree in Econometrics from the University of Paris 1 Panthéon-Sorbonne and a Masters in Health Economics from the Faculty of Medicine Paris XI. He also worked as a researcher at the Financial Solutions Life and Health department of the reinsurance company Munich Re (Germany). Julien Tomas is a postdoctoral fellow in the laboratory of Financial and Actuarial Sciences, ISFA - University of Lyon 1 in partnership the Chair "Management de la Modélisation" BNP-Paribas Cardif and the French Institute of Actuaries. Cary Tsai earned his Bachelor degree in Mathematics from the National Taiwan University of Taiwan. After graduating from the National Chiao-Tung University of Taiwan and the University of Wisconsin-Madison of U.S.A. for his Master degrees in Computer Science and Actuarial Science, respectively, he worked at some life insurance companies for years. Then he got a Ph.D. degree in Actuarial Science from the University of Waterloo of Canada. 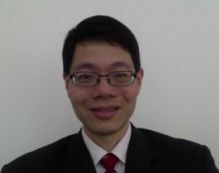 He started his academic career at the Department of Finance, the National Taiwan University, and has been teaching at the Department of Statistics and Actuarial Science, the Simon Fraser University of Canada since July, 2004.Tsai's current research interests concentrate on modeling of mortality rates, hedging of mortality and longevity risks, and pricing of mortality-linked securities. Jason Chenghsien Tsai is a professor of the Risk Management and Insurance Department and the director of Risk and Insurance Research Center at National Chengchi University. Jason's research interests lie at the intersection of insurance and finance. He has published in the Journal of Risk and Insurance, Insurance: Mathematics and Economics, European Journal of Operational Research, among others. Jason has led and participated in many projects for insurance supervisors, organizations, and companies in Taiwan. He was a Fulbright Scholar visiting Santa Clara University. Jason's doctoral degree is in Risk Management and Insurance from Georgia State University. He got his Master's and Bachelor's of Business Administration from Carnegie Mellon University and National Taiwan University, respectively. 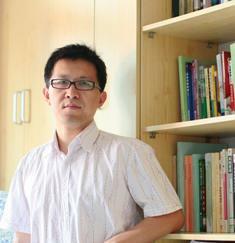 Jeffrey Tzu-hao Tsai received his Ph.D. from National Taiwan University in 2008. Starting from September 2009, he joins the National Tsing Hua University, where he is an assistant professor at the faculty of Quantitative Finance. His main research interest is pricing and hedging of longevity risk. MARKOV UDI is a professor of statistics. He is the director of the Actuarial Program and the founder and head of the Actuarial Research Centre, both at the University of Haifa. 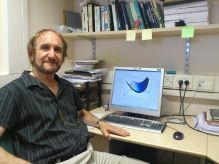 He is an academic member of the Israeli Association of Actuaries and a member of the Royal Statistical Society; UK.Professor Makov graduated in Industrial and Management Engineering from the Technion, Israel's Institute of Technology, and obtained his M.Sc in Operational Research from the same institute. His Ph.D, in Mathematical Statistics, is from the University of London (University College). Professor Makov's fields of research are Non-life Insurance, with particular emphasis on Credibility, Loss- Reserves and Usage Based Insurance, Risk Measures, Portfolio Optimization, Mortality Projections and Bayesian Statistics. 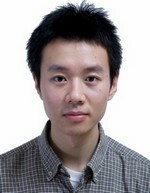 CHENG WAN is an associate statistician at Towers Watson Research and Innovation Center (Wuhan city). His research currently focuses on mortality modelling and longevity risk management. 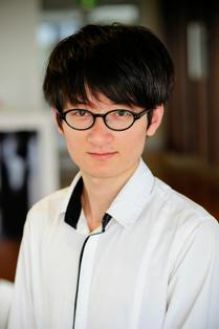 Prior to joining at Towers Watson, Cheng obtained a Master degree of Statistics from Katholieke Universiteit Leuven and a Bachelor degree of Mathematics from Wuhan University. HSIN-CHUNG WANG had 8 years work experience at Cathay Life Insurance Co. in Taiwan. He received his Ph.D. degree from National Chengchi University in Taiwan; He accepted an offer from Department of Statistics and Actuarial Science, Aletheia University, as an assistant professor and now also serve as director in Chung Hua Senior High School. His major research fields are statistics and actuarial science. 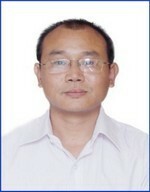 Wang Wei is the associate professor of School of Public Finance in Central University of Finance and Economics. 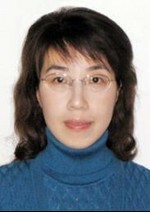 She is the consultative expert of Beijing Municipal Finance Bureau, and the World Bank SIEF research partner. Her Interdisciplinary Research Team which focuses on "policy evaluation on reform of aging society in China" becomes a government's "think tank", cooperating with Ministry of Finance of the People Republic of China., National Development and Reform Commission, etc. With wide academic interests, she has published in journals including Economic Research Journal, Economics and Management Review, Financial Supervision, Economic Perspectives, and Social Science Journal. 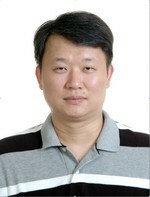 XIAO WEI, an associate professor in China Institute for Actuarial Science, Central University of Finance and Economics. 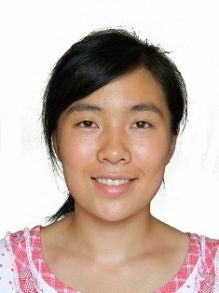 Xiao Wei got her PhD degree in Probability and Statistics from Wuhan University in 2006 and joined CUFE after graduation. She worked as research engineer in Projet MathFi, Institute National de la Recherche en Informatique et Automatique (Mathematical Finance team in INRIA, the French National Institute for Research in Computer Science and Control) from July 2006 to December 2007 and became a permanent contributor of PREMIA (a computational platform of financial derivative pricing developed by joint research team from INRIA and University of Paris-Est.) Her main research interest includes equity-linked insurance product pricing, ruin theory, quantitative finance, she published articles in journals including Insurance: Mathematics & Economics, North American Actuarial Journal, Bankers, markets, investors, Journal of Applied Probabilities etc. 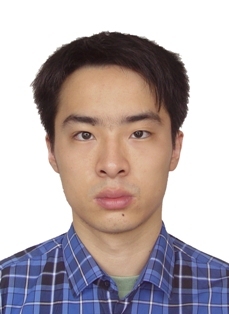 Lifeng Yan, an undergraduate from Central University of Finance and Economics. He is majored in actuary science. 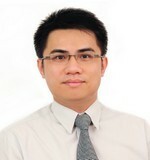 His 3 articles have been selected for the 3rd China International Conference on Insurance and Risk Management in Qingdao. Besides, he also participated in 2012 Global Conference on Evaluation on Public Hospital Reform In China, The Second International Agriculture Risk, Finance and Insurance Conference, 2013 CCISSR conference. He got a science scholarship in Insurance school. He, as a captain, achieve Meritorious Winner in American 2013 Mathematical Contest in Modeling. He is specializing in mathametic modeling especially in artificial intelligence applying in optimizing problems and in economics. As a successful example, he has found that the method of simulated annealing algorithm can be employed in solve uncorrection in Lee-Carter model. ZAIGUI YANG is a professor in the China Institute for Actuarial Science, Central University of Finance and Economics, China. He graduated from Nagoya University, Japan and holds degree of Ph.D. in Economics. He has been working as a teacher in university since 1986. His research interests include social security, actuarial science and insurance. 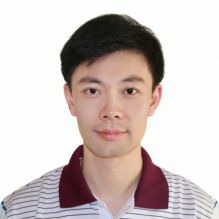 He has some papers published in Insurance Mathematics and Economics, Optimization, Statistical Research (in Chinese), Management Review (in Chinese), etc. He is elected as the New Century Excellent Talents in Universities supported by the China Ministry of Education.